I'm so excited! If you attended the Nevada County A Wedding Affair for all Seasons bridal show, you know we have some amazing vendors in this area. Yet because many work in the background of weddings, they may have beautiful pictures of their work, but their own pictures tend to be cut out from family pictures or a last minute snapshot. This should not be! Some of the photographers in the area wanted to throw back a little love, so our first photo shoot will feature the vendors themselves! All NC vendors are welcome and invited to come! We have two dates with two different locations to give you a choice between an outside and a studio feel. For more details and to reserve your session, drop me a line at lydia[at]lydiaphotography[dot]com. Hurry, spaces are limited and likely to fill up fast! 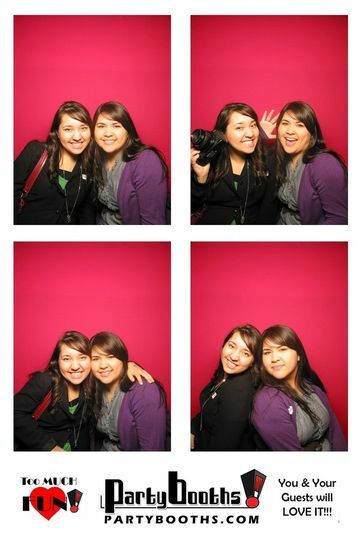 Me and my second shooter, Liz, at the Santa Rose wedding expo. Thanks for commenting on my blog! Cute photo there!